People are switching jobs more often than ever. As a consequence, companies need to modernize their work environment in order to attract and retain talent. Some argue that creating a modern workplace is more about enabling the right connections, rather than building the right office space. This involves using up-to-date tools and technology, as well as having a more flexible work environment, to facilitate productivity and to boost employee satisfaction. How can companies attract, develop, and retain talent in the digital era? Here are three important things to consider. Instagram—Recruiters are venturing outside of employment sites. In fact, some companies, such as 9thCO, have gone as far as using Instagram, a social media platform that’s typically used for selfies and food pictures, to advertise its new job opening among a tech-savvy demographic. Remarkable Hire—With so much noise, some recruiters are using this social evidence-based recruiting site to weed out candidates. This is especially useful when it comes to finding quality applicants from a saturated pool in the tech industry. Podcasts (or “Jobcasting”)—Since podcasts are becoming a hit, some companies have used this as an opportunity to communicate to job seekers. Podcasts, such as Jobs in Pods enables companies to broadcast its job postings through audio, giving listeners an inside scoop of the position and life at the office. Virtual reality—We are now approaching the VR age, where the world’s largest tech companies (including Google, Facebook, Microsoft, and Apple) are investing billions into developments in this technology. 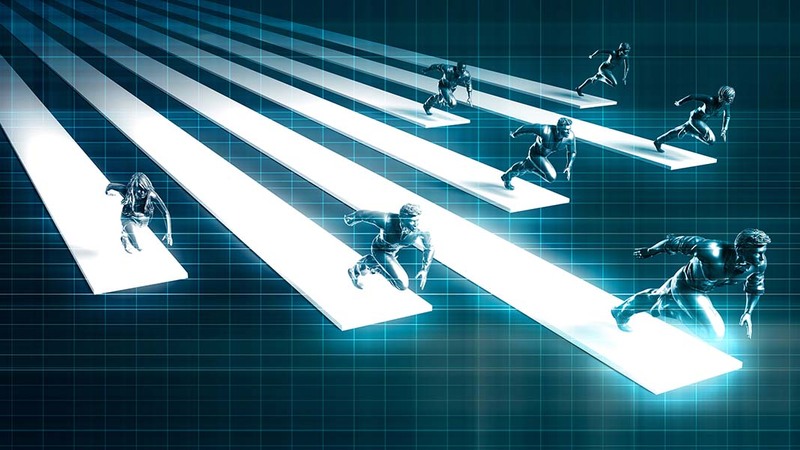 This technology can enable candidates and new hirers to virtually experience a position before getting their hands dirty, or even connect a dispersed workforce in a virtual world. eLearning apps—Micro-learning and gamification apps are trending in the corporate eLearning industry. These apps are replacing traditional corporate training. Employees can learn at their own pace and at their convenience, where the app is easily accessible through their smartphones or tablets. As well, team boards and rewards often come with these apps to incentivize learning. Videos—Creating videos is a cost effective and engaging way to help people learn. In fact, according to Hubspot, 55% of respondents say that they pay close attention to video content compared to other content, such as social media posts. Virtual meetings—While it’s always better to have in-person meetings, it’s not easy to schedule an entire room full of people in our modern world. To help out, virtual meeting tools are now frequently used to help participants join an event from multiple locations. Having regular meetings enables employees stay engaged and to be up-to-date on the latest project developments. Team collaboration tools—Slack and Workplace by Facebook are examples of tools that are helping organizations share information and ideas more efficiently. These tools streamline workflow by organizing conversations and keeping everyone informed. Fluid working spaces—In addition to enabling flexible hours and allowing people to work remotely, companies can create a fluid working space by adding a variety of office interiors. Some companies, such as LinkedIn, have created unusual spaces, such as a “silent disco room” where people can take a short break and dance to music with headphones on. With all the changes in the workforce due to technological developments, companies need to be the ball in order to attract, develop, and retain talent. Fortunately, technology is on your side. By embracing digital innovations and collaborating with a growing tech-savvy workforce, companies can find plenty of simple solutions to adapt and grow. Author: Catherine Chea is a writer and content marketer at 9thCO, a digital agency based in Toronto. She graduated from McGill University with a BA Hon. in philosophy. During her spare time, she enjoys playing the piano and blogging.